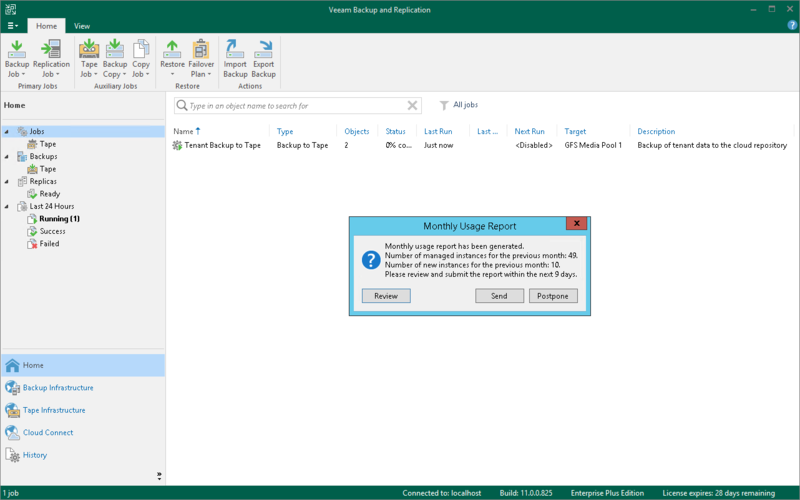 On the first day of the month, when you launch the Veeam Backup & Replication console, a window opens notifying that the license usage report has been generated. The notification reflects the number of used instances for the previous month. The notification also displays the number of days within which the report must be submitted. In case of automatic license usage reporting, you can submit the report immediately without review. To submit the report, click Send. Submission of the license usage report from the Veeam Backup & Replication console is not available for manual reporting.